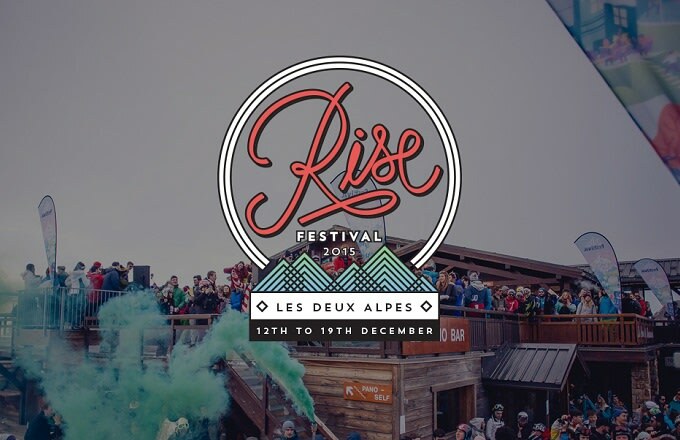 For a total of days in December, RISE Festival will be hitting Les Deux Alpes in France, bringing with them an absurdly high-power line-up. The biggest and best in grime, house and techno, UKG and drum & bass will all be hitting the French Alps. The festival will be split over four stages run by Hospitality, Eton Messy, Ibiza Rocks and Rinse FM and of course the indoor W.A.R! Arena. So far the full confirmed line-up is Amy Becker, Applebottom, Artwork, Axel Boman, Benton, Blonde, Dynamite MC, Etherwood, Eton Messy DJs, Henry Krinkle, High Contrast, Jackmaster, Krywald & Farrer, London Elektricity, Lowqui MC, Mella Dee, Metrik, Ms. Dynamite, Paleman, Sigma (who&apos;ll be performing live), S.P.Y., Skream, So Solid Crew (Lisa Maffia & Romeo), TCTS, The Goldenboy, Toyboy & Robin, and Waverley. It&apos;s not just music that&apos;ll be on offer. There&apos;s the Love Lifts so you can chirpse between ski runs/raves, a campfire, a hot tub cabin, a Yeti&apos;s Cabin, woodlands, a winter beach party in the mountains, an ice disco, a huge cinema screen, something called the Snowmageddon Arena for "snow based warfare" as well as extra club nights in the mountains. On top of that, if you&apos;re feeling confident about your skiing/snowboarding game there&apos;ll be plenty of tournaments and opportunities to show off. Check the RISE website for more info and head here for tickets.